Blogging slump, self care & 30 Days of Yoga Challenge! I've been dealing with a blogging slump for quite a while, essentially for a few months since my laptop had a break down and stopped working for a week, and then came my vacation time and BEA and now I feel that I'm finally getting over it and starting feeling more motivated to write posts and reviews again! Before my vacation time I had been feeling really tired and with work and the apartment work (it's been a year already since I'm a home owner wooohooo!! 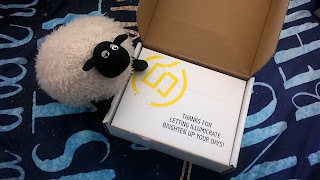 ), I had pushed blogging to the corner, using what little motivation I had to do house work and assemble furniture and the like. But now after my vacation I'm back and feeling much more motivated and energized! I wake up feeling rested and I've realized that if I oversleep and wake up late in the morning, I end up feeling more tired. I think that not only the vacation time rest has done wonders, but also I finally decided to take a step onto self care and I've finally started doing some exercise. You might not know this but since I stopped doing ballet & swimming in high school, I've been the most unathletic person EVER! I hate working out, I hate the thought of going to the gym... just NO. But, I'm a really flexible person (hello, years of ballet) and I've noticed that my posture was slouching, and as a nurse, my back sometimes complains, so I thought I really needed to DO something, so... my first thought was to give yoga a try. Again, not a gym person so I thought "if I learnt how to wrap a saree in 6 different ways with YouTube tutorials, I'm sure I can find a Yoga For Beginners video to try" so I did my search and came upon Yoga With Adriene! The moment I started watching her videos I knew I had found the right videos for me! She's funny, she always gives you options for the asanas depending on how advanced or not you are on your yoga practice, and she's not overly mystical (sorry, really NOT a mystical person here...). I've been practicing her beginners videos now for a month and surprise surprise, I wake up in the morning WANTING to do my yoga! And that is seriously BIG for me! I'm so happy about my yoga practice that I've decided to work on the 30 Days of Yoga Challenge playlist that she has, and I start tomorrow! Wish me luck guys! Today I'm oh so very happy to share Illumicrate May's box!! It arrived last week but since I had just returned from BEA & vacation and even if I took some pics and flailed very much about it on Twitter and I was beyond happy about all the goodies... it's taken me a while to get my s... eerrrm, well, it's just taken me a while to find the motivation and the time to write this post! 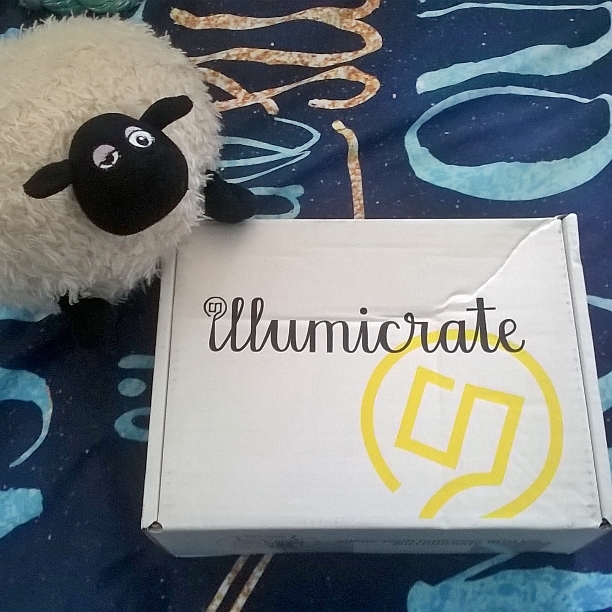 I've said this before, but Illumicrate is a quarterly subscription box based in the UK, which means it was my obvious option when I decided to go for one. If want more info about it, you can go HERE! Now, let me show you the goodies!! As you can see Dylan was as excited as I was to dive into the box! And here's the full loot! 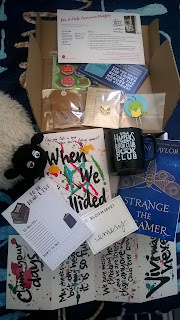 Book, sampler, mug, pins, bookmark and more! The main book is When We Collided by Emery Lord, with a signed bookplate and gorgeous artwork postcards! - I had heard so many good things for this one and now I can check it out! There was also a sampler of the UK edition of Strange The Dreamer by Laini Taylor - Now that I have both the US & UK samplers, I'm pretty sure I'm gonna preorder the UK edition because I adore that cover! Then we have an extremely cool mug from Shanelle of Mother of Books Designs! I now want a physical book club to take the mug to the meetings! A super cute notepad perfect for every reader from Goodnight Boutique! An adorable bookworm bookmark from My Bookish Mark. More cuteness in the shape of a "Readers Gonna Read" pin from Literaryemporium! And again more cuteness in stamp shape "Ex Libris" from LittleStamp Store! To top it all, a few more extra promo goodies, like postcards and pins! And that's all folks! I'm completely in love with this box and I'm already getting excited to see what will be in August's box!! Memories of Ash by Intisar Khanani Blog Tour: Review & Giveaway!! I'm starting this week with taking part in another Blog Tour! 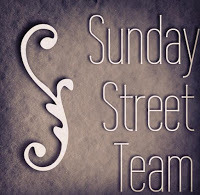 I find that it's the best way to get myself into the thick of things since I had been into a bit of a blogging slump even before my vacation time. 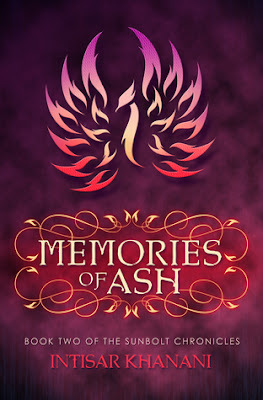 Today I'm going to share my review for Memories of Ash by Intisar Khanani and there will also be a giveaway at the end of the post. Do make sure to check the rest of the tour stops HERE. 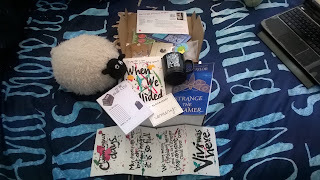 But before we get to my review and the giveaway, let me share a bit more about the book and author! I started reading my eARC of Memories of Ash as soon as I finished Sunbolt! I was very glad to have waited and read both books back to back because even if the ending of Sunbolt was not a massive cliffhanger and Memories of Ash doesn't start exactly were Sunbolt left us, no wait between stories that you are loving is always the best option! Intisar's writing is fantastic, it's the kind that keeps you fully immersed in the story and that mixes descriptions with character development and moving the plot along. You might not be sure why a new character is introduced but she never does anything randomly, all dots will connect somehow at some point, and usually in rather unexpected but never unreasonable ways! Hitomi is a fantastic character, she does have a tendency to get into things without all that much planning and plotting, but it's so much forgivable when she herself acknowledge it as a flaw in her character but one that goes hand in hand with her need to do what's right and to never take a life. She has got so much better at working with her magic although it seems that she doesn't realize how powerful she really is. The political threads that we saw in Sunbolt here are explored more in depth and we see more of the fight for power and how it is possible for someone to continue to achieve power and control by manipulation and using others' support and even using their neutrality for their own means. We are shown that not taking a stand against what is wrong can be as bad as supporting it, and that gives us quite a bit of food for thought. There is no real romance, even if there's a few hints of something that might or might not come to pass in the rest of the series, but there are plenty of other relationships and alliances to keep us engaged and wondering in some of the cases. Complex familial relationships, alliances and friendships from the past that need to be figured anew and rekindled or left behind... And new friendships and alliances that are introduced and forged here. 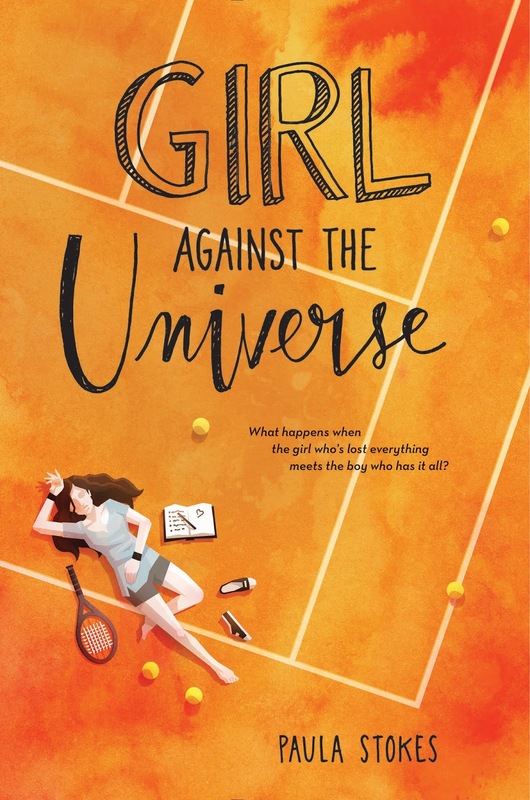 One of the best things for me in this book is that the plot was never easy to figure out or predict, even if some isolated parts of it were to be expected, you just never knew what would happen, and even the things you expected don't happen in the way you'd think they would! My review might have been a bit vague but I wanted to make sure I didn't end up spoiling anything for anyone if I ended up talking a bit too enthusiastically about certain characters or events, but let me tell you that this series (and author) are very much worth checking out if you love fantasy! Very much deserved 4.5 stars, cannot wait for book 3! 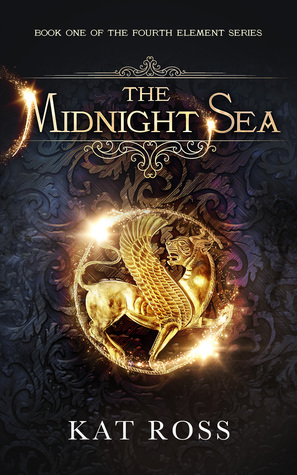 The Midnight Sea by Kat Ross Blog Tour: Review & Giveaway!! Today I'm once again extremely pleased to be part of the Blog Tour for another Kat Ross book, this time is for The Midnight Sea, a fantasy with some historical touches, hosted & organized by the lovely Giselle from Xpresso Book Tours! Today I will be sharing my review with you all, as well as sharing a giveaway at the end of the post, so stay tuned for that! But first, let me give you a lil bit of info about the book and the author! I was pretty sure I would enjoy The Midnight Sea because I had really enjoyed Kat's take on the dystopia genre when I was already feeling a lil burnt out of it. 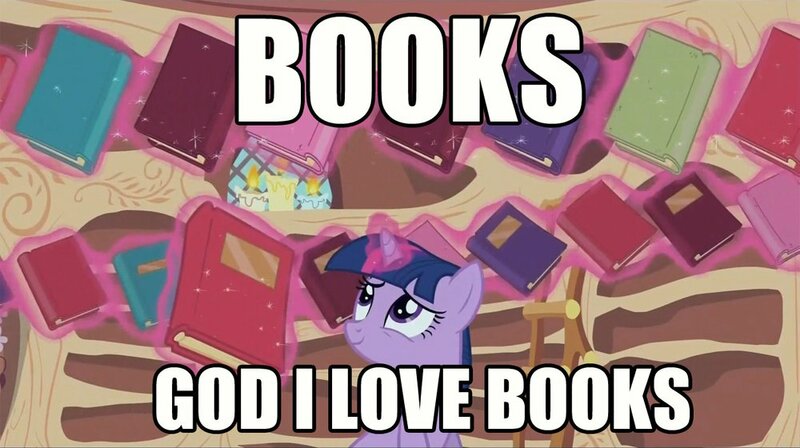 So seeing that she was tackling fantasy, being one of my fave genres, and that was mixing it with historical fiction? I was really excited to get my hands on it! The Midnight Sea is set during the height of the Persian Empire but it's not exactly alternative history, it's more on the side of taking a few bits here and there for setting but mostly taking its own road to show us how lies can be built up on for control and how in that need for control an entire race of people or supernaturals can be demonized and made less to justify that control. Nazafareen lives with her tribe in the mountains until everything changes when her sister dies and she decides to leave with those recruiting for the King's army against the Druj, the demons that took away her sister. I had a few issues at the beginning of the book, because when Nazafareen joins the Water Dogs army, time passes in leaps and bounds and the progression felt a lil choppy, at least for the first quarter of the book. I understand that nothing much probably passed on that time other than some training, but seemed like some of the relationships weren't as well built up from the beginning as others. That is the reason I'm not giving this one 5 stars, because although it never bothered me enough to want to give up on the book, it did feel a lil choppy. 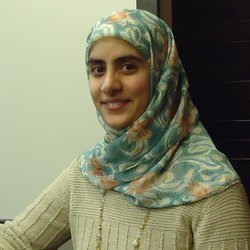 But, once Tijah was introduced as an ally and not as a rival, and once Darius entered the story, putting Nazafareen's training into perspective and bringing some real conflict when she has to confront her own daeva and see if what she thought applies to him now being a real being and not just a hypotetical entity. Wondering if the inherent evil of a "race" is real or not always starts with an individual, and that's very well depicted here. We get more than a few surprises, characters that we thought were good guys end up being anything but an ally, those that we thought were bad guys or evil might not really be that, and truths accepted for many years end up crumbling to dust and leaving Nazafareen unsure of who to trust or what path to follow, until she decides to face the truths, both within and without! I loved the little historical nuggets here and there, even with names changed, some geography was easy enough to figure out and I'm so very excited to see where the series will take us next! We're left with quite a few revelations to digest, two quests that will start in the next book and meeting an intriguing and very dangerous enemy! Simply cannot wait! Very well deserved 4 stars for this one! Highly recommended if you like your fantasy with both magic and a lil bit of historical references! 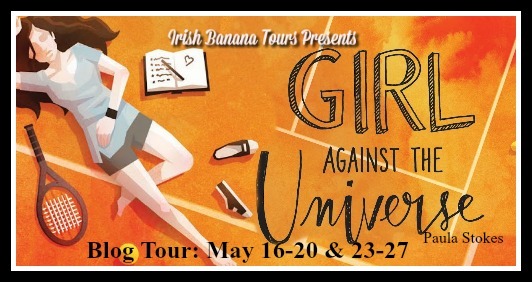 You can follow the rest of the blog tour HERE! 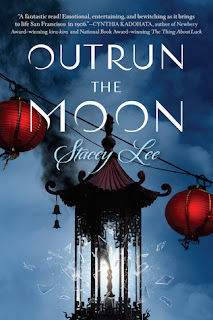 Sunday Street Team: Outrun The Moon by Stacey Lee!! May had some really awesome authors and I'm very happy helping promote a book I am extremely excited for (and cannot wait to get my hands on!) Outrun the Moon by Stacey Lee! 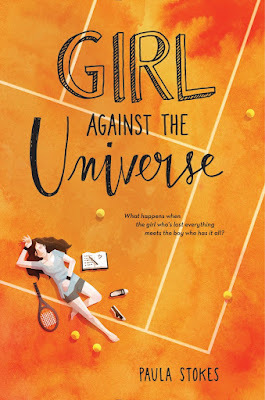 I have a fantastic guest post by Stacey Lee to share with you all, as well as 3 giveaways (so don't forget to scroll down for those!) but first let me tell you about book & author!! 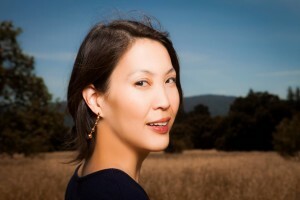 Stacey Lee is a fourth generation Californian with roots in San Francisco Chinatown. 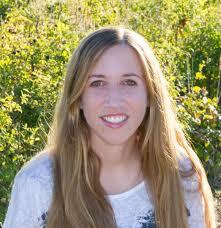 Born in Southern California, she graduated from UCLA then got her law degree at UC Davis King Hall. She has lots of experience with earthquakes, having skinned her knees more times than she wants to remember diving under tables. One day she hopes to own a hypoallergenic horse and live by the sea. See what she's up to on Twitter & Instagram: @staceyleeauthor. - San Francisco, a multicultural haven of a city: Myth or reality historically speaking? Reality! San Francisco was the main Pacific gateway into the US, as the entrance to one of the best harbors. The first settlers were Native Americans, the Ohlone Indians. Then the Spanish sailed in, establishing military settlements, and religious ones for converting the Native Americans to Catholicism. Curiosity over this new land and hunger for a piece of the pie led to more explorations by the French, the English, and the Russians, but eventually the area became part of Mexico after its independence from Spain. Not long after independence, gold was discovered, and immigrants from all over the world headed for the gold mines of California, so gold-hungry that often sailors would just abandon their boats in the harbor because no one wanted to make the return trip home. The first significant wave of Chinese immigrants arrived during this Gold Rush of 1849. By the time of OUTRUN THE MOON (1906), San Francisco was truly a diverse city, though folks tended lived in their own neighborhoods (not always by choice, as with the Chinese). The earthquake shook up that dynamic, at least temporarily. 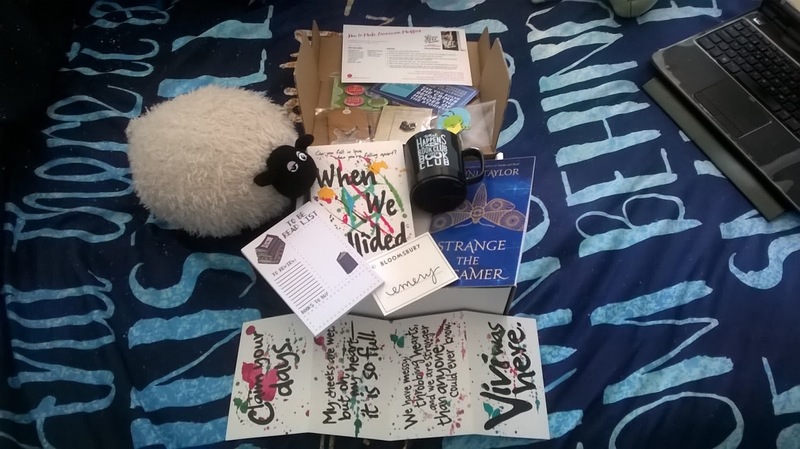 There are three fantastic giveaways that you can enter! !